Ever seen someone and regretted not talking to them? In that case, Perky is the app for you! 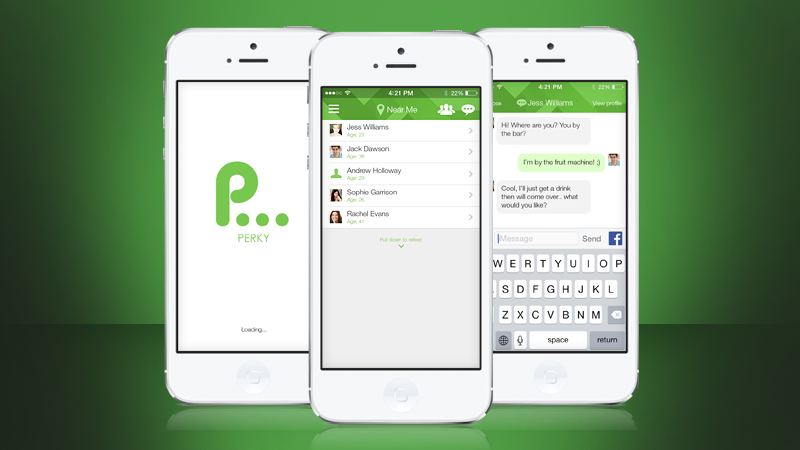 Perky allows you to meet nearby users instantly! Createanet provided this solution for Perky by using Multi connectivity technology. This means that the app will only find people to chat with who are in close vicinity to you. Perfect for asking if anyone has some spare change, if someone wants to share a taxi with them, or even just to meet new people in general! Perky also gives you the ability to leave pins across the whole world! If you see somebody in particular location but don’t want to stop them and hold up their day, why not leave them a message! The users device will then be able to see your pin when they next walk past and will remain in their Tags Encountered section of the app for when they next look at their phone. Perky could well be the new app that will soon be an essential to everyone’s device – we wish them the best of luck and success in the future!